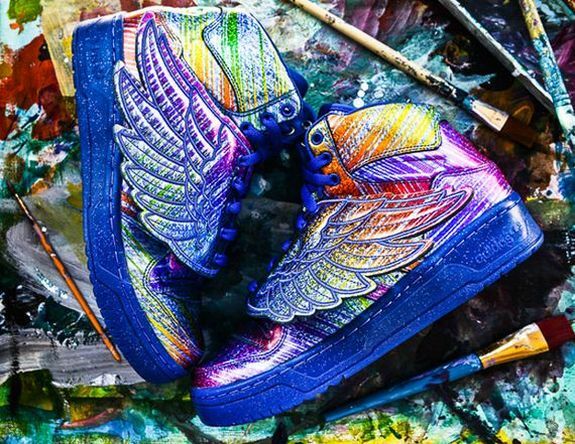 Jeremy Scott continues to pump out colorways of his off-the-wall JS Wings design by adidas Originals. 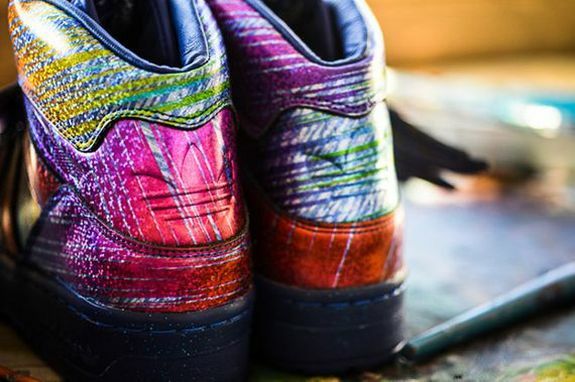 The flashy shoe gets fitted with more pizzazz thanks to a rainbow hologram effect that is displayed on the upper. 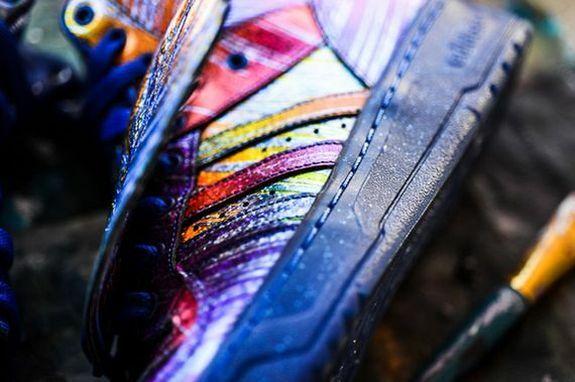 The color palette for the shoe is extensive and rests on a metallic speckled blue sole. The shoe is shrouded with a matching set of wings affixed to the laces and is already available at the adidas web shop now.